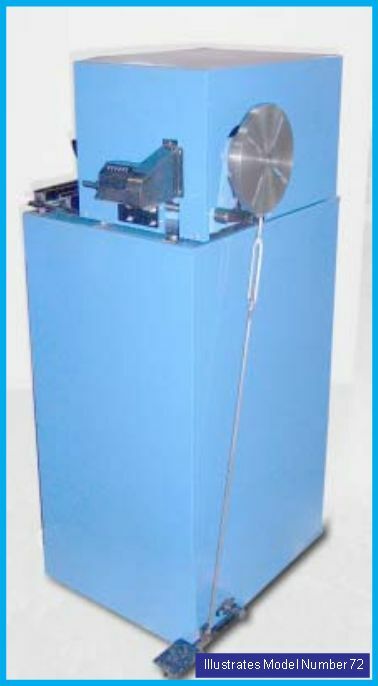 This compact winding machine is suitable for low-cost and small winding operations. Its compact construction will not crowd your workspace. It is constructed using heavy-duty materials. It features an integrated cabinet that can serve as a working space as well as a storage area. 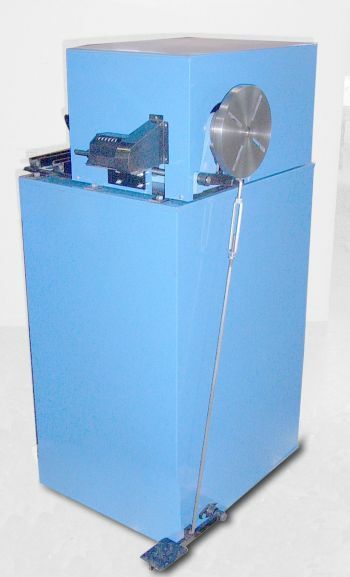 Highlight: Low Cost coil winding machine for precise winding of small coils. The foot pedal provides controlled single-foot operation that does not physically stress the user. The integrated cone clutch and shoe brake ensure smooth starts and stops. When the machine does not start or stop jerkily, its service life increases. The faceplate features a total diameter of 8″. The faceplate shaft has a diameter of 15/16″. To provide uninterrupted operation (jogging), the foot pedal can be slightly depressed. This leads to the clutch being slipped, resulting in smooth effortless jogging of the winding process. The speed can be adjusted manually. Infinite speed variations are possible. This can be achieved by rotating the crank located on the tilting motor base. 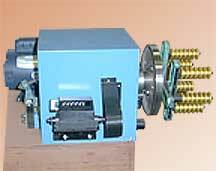 The speed can be changed while winding is in progress (i.e. the drive is moving). Counter driven by a four figure rotatory chain. Features a heavy-duty cast iron base for firm installation and reliable functioning. The entire machine including the motor has been designed to be easily mounted on a cabinet, bench, or other versatile locations. This portable machine is extremely versatile in terms of installation.